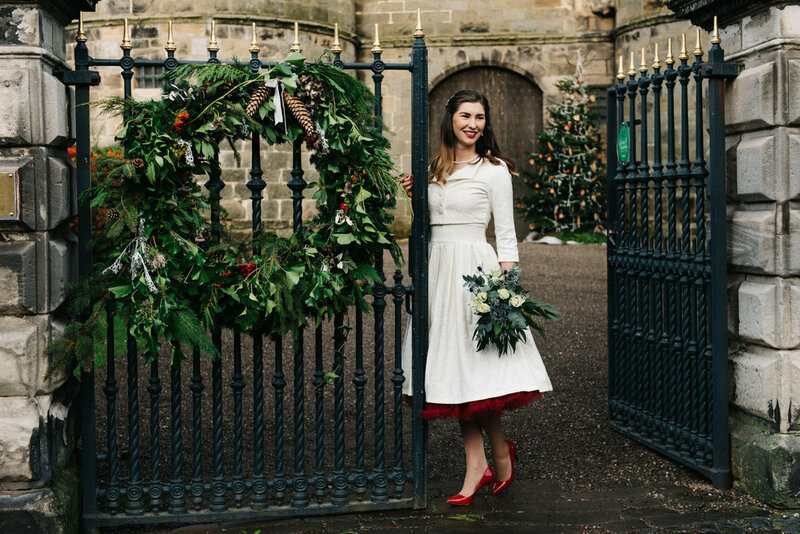 We offer a wide range of beautiful, seasonal Scottish garden grown wedding flowers and greenery. If you would like to visit the gardens to see the flowers we grow or discuss your wedding plans, please contact us. If you want to do all the wedding flowers yourself we are happy to sell you buckets of flowers. All we ask is that you let us have notice of your wedding date. We will tell you what we expect to be flowering beautifully at that time and then confirm the final selection 7 days before your wedding date and the time for you to collect the buckets of flowers. 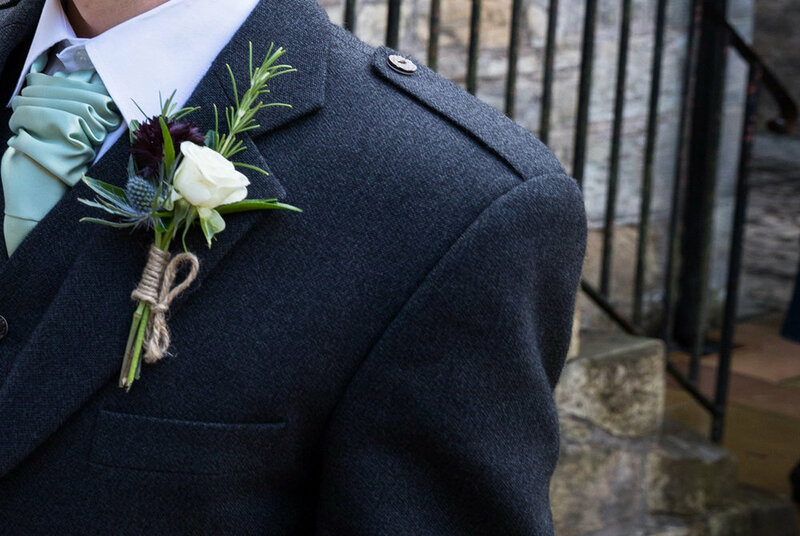 If you would like to do some of the flowers yourself but want us to provide bouquets, buttonholes, table flowers or other floral decorations or if you simply want bouquets and button holes please get in touch with us to tell us your wedding date and plans for flowers. If you would like us to do all your wedding flowers please get in touch to discuss ideas and arrange a visit with us. Individual quotes provided on request but as a guide, prices for individual bouquets are as follows: bridal bouquets start from £85 and adult size bridesmaids' bouquets from £45. Buttonholes and corsages from £9 and table flowers from £25 per table.